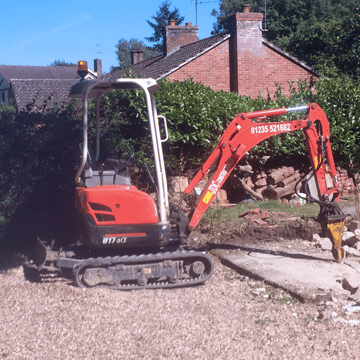 At JDC Construction we undertake all manner of groundworks, paving, digger hire and associated construction for domestic, commercial clients and property developers. We adhere to modern methods of construction, with principles to provide you with works of the highest quality being time-efficient and cost-effective along the way. We can assist you with your project by providing operated plant to aid your existing workforce. We can aid your existing workforce with our experienced operators. Reinforced concrete including steel fixing and shuttering, ground beams, underpinning, mass concrete foundations. We leave all areas cleared and ready for works to commence including demolition, tree stump removal and removal of waste off site. 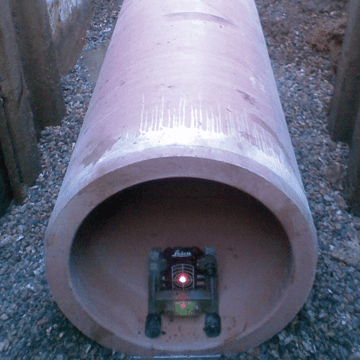 We can accommodate all of your drainage requirements for both foul and storm water. Installation of septic tanks, soakaways and manholes. JDC Construction offer complete groundworks packages ready for subsequent trades. 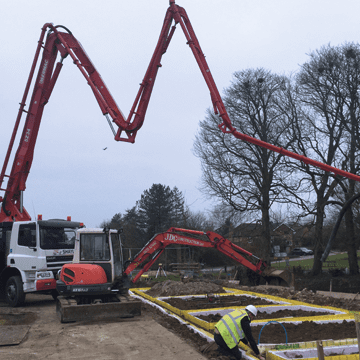 At JDC Construction we undertake all manner of groundworks, paving and associated construction for domestic, commercial clients and property developers.